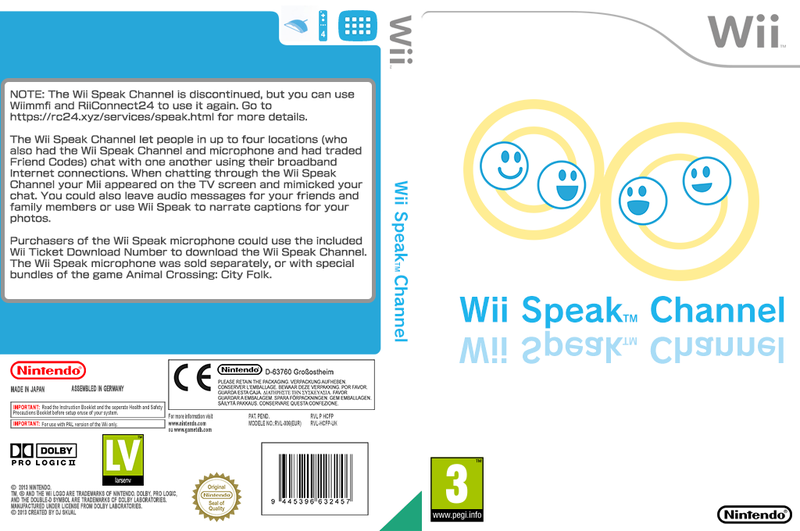 synopsis (EN) Made available with Wii Speak microphone peripheral, this chat system for the Nintendo Wii allows up to four users to chat together at no charge. The user's selected Mii appears in the channel, mimicking the user's mouth to make it appear as if the avatar is speaking. The channel also allows user to leave audio messages to other users, as well as make audio captions for their stored photos. synopsis (FR) Avec le micro WiiSpeak, cette chaîne permet de discuter avec 4 autres amis Wii qui possèdent l'accessoire ainsi que d'envoyer des messages vocaux sur le bureau Wii de vos amis. 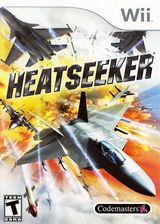 synopsis (DK) Når du køber mikrofontilbehøret, Wii Speak, følger der en unik kode med i pakken, så du kan downloade Wii Speak Channel gratis. Denne kanal giver dig mulighed for at have forbindelse til venner, som også har Wii Speak Channel online, så I kan tale sammen.